Summary: This walk is very popular all year round. 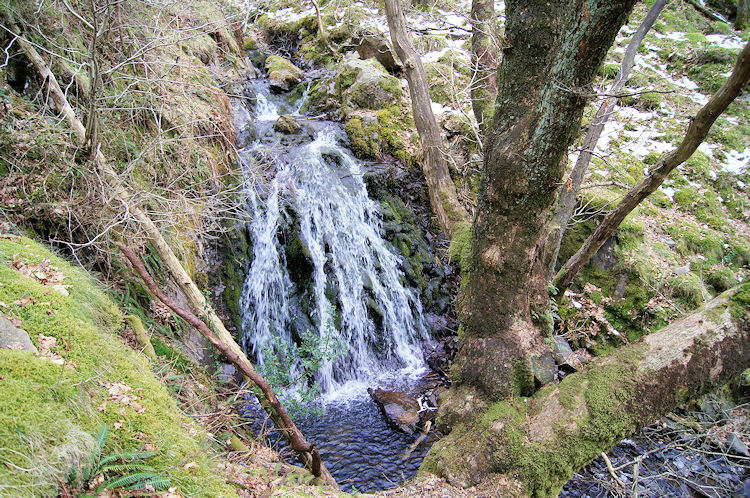 It begins with a walk through lovely oak woodland where there is a series of small and pretty waterfalls before reaching Tarn Hows, the family favourite water feature in the Lake District. The walk then weaves on paths close to the tarn on a full circular with more woodland sections interspersed with open fell giving access to views of the whole tarn. You will be lucky to have this walk to yourself as it is very much loved by many. The Walk: Sometimes my walks are shorter than usual, often because of time constraints like the first or last walk of a trip when travelling to or from the destination take up a good part of the day. Another reason is to walk with my wife Lil and with family and/ or friends who are not afflicted by the serious walking and exploring habit that I cannot shake off. Despite the lack of real distance I do enjoy these walks, particularly so as seeing Lil enjoy the wonderful outdoors as much as I do is a huge delight for me. This short walk in the Lake District is one of her favourites. 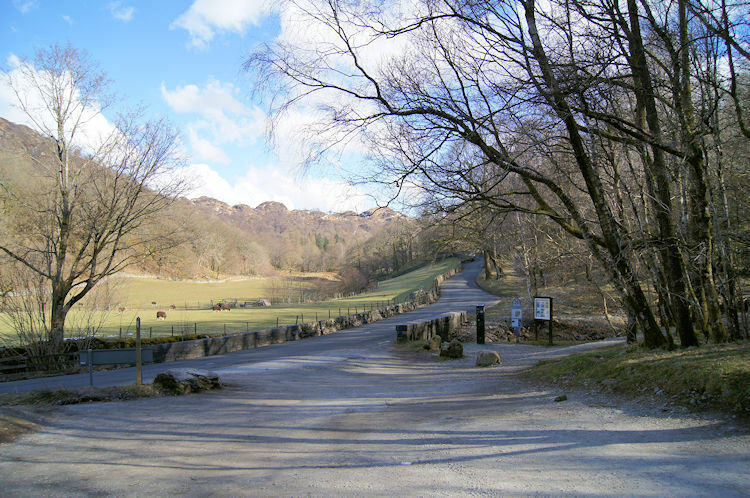 The walk to Tarn Hows starts from the car park at Glen Mary Bridge. 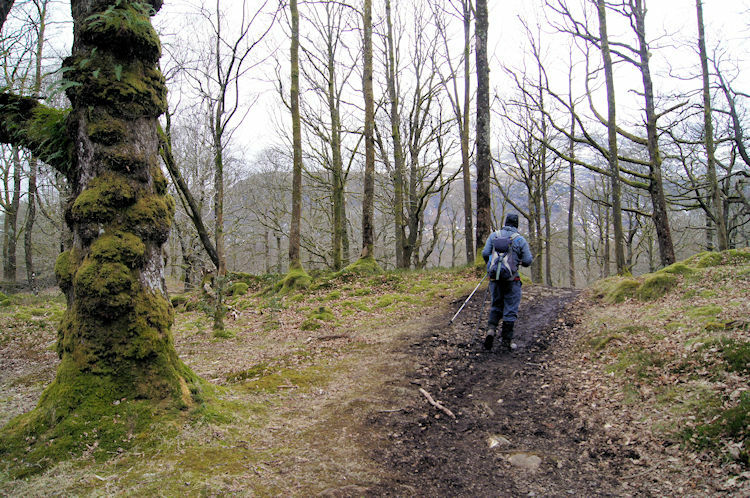 Before reaching Tarn Hows there is a short walk through Lane End Coppice and Harry Field Wood, the walk being along a narrow path on uneven terrain and the climb up besides Tom Gill has some sections of short ascents and descents that can be hazardous in slippery conditions. Lil managed it fine though and she was thrilled by the sight of the series of small pretty waterfalls cascading down from Tarn Hows in Tom Gill. In fact she loved it and looked forward to more delightful viewpoints on the circuit of Tarn Hows. 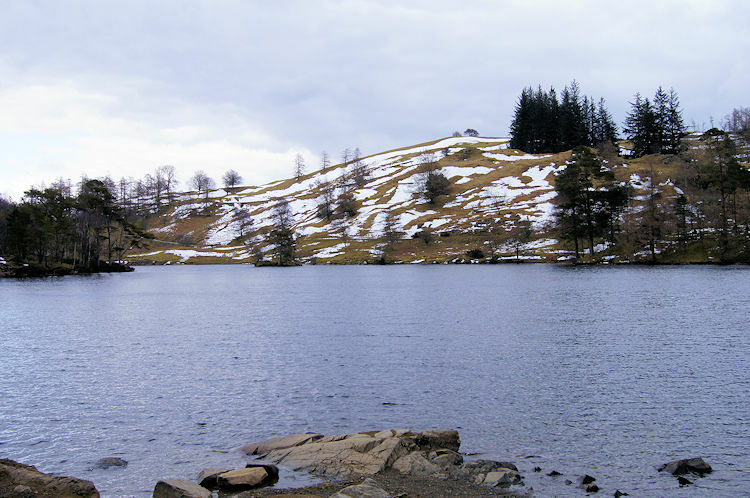 Tarn Hows is beautiful, the environment all around creating an idyllic scene, even in the depths of winter. However, do not be fooled into thinking of Eden here as the water feature is not natural. 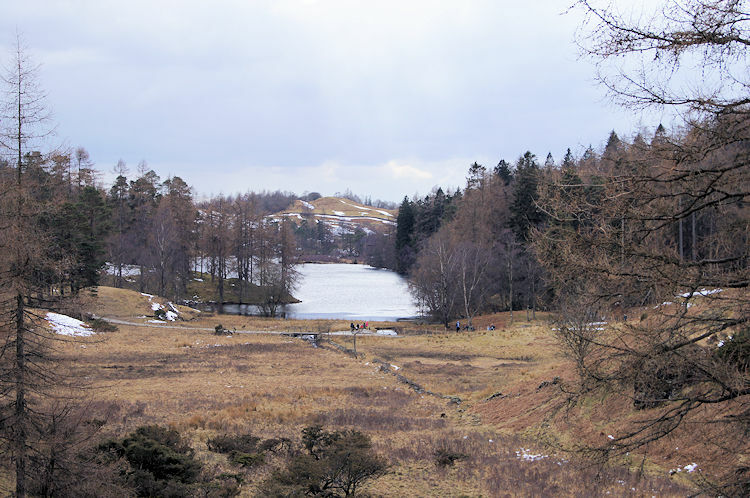 It is part of a designed Victorian landscape, created by damming the outflow of Tarn Moss to create one large tarn and the result is such that every direction you look in at Tarn Hows it creates such an attractive view which has led to many photographs and works of art since its creation. I thank the Victorians for their ingenious vision, as do the throngs of people who visit this most popular of places in the Lake District almost every day. The lack of greenery on the trees and spring flower did nothing to dispel our pleasure, banks of white snow on the low lying fells around the tarn creating their own unique patterns. If I were to come back tomorrow I knew the snow patterns would be different again. Even manicured settings do not stay the same when nature is allowed to intervene. 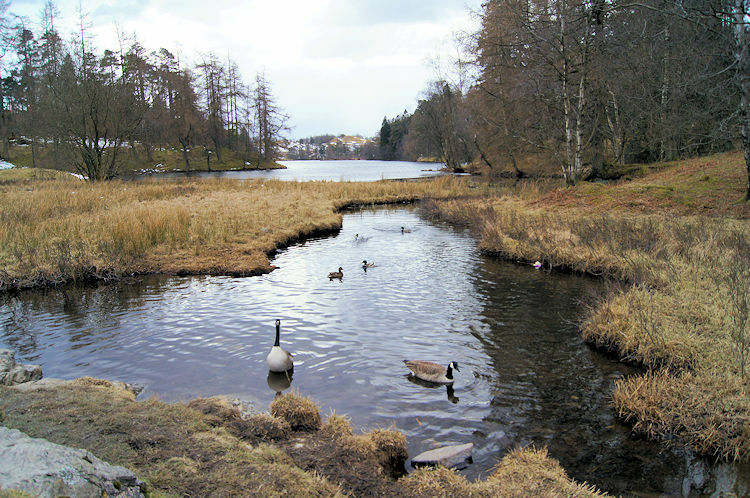 One constant all year round at Tarn Hows is the affection of people who visit for the wildlife. In return for the generousity of the Geese, Ducks, Moorhens and other species et al by staying at Tarn Hows is the thanksgiving by people of gifts of bread crumbs and other suitable titbit's for the birds to enjoy. It is a symbiotic relationship and I would not be surprised to see Red Squirrels making their way back from other parts of the Lake District in the future should the relationship continue and animal management permit. Now that would be a joy to see. After taking in the view of Tarn Hows for one final time on the walk Lil and I made our way back to Glen Mary Bridge, which incidentally was named so by John Ruskin, by way of an easier track that the one along Tom Gill, from the south west edge of Tarn Hows. Then we headed back to Ambleside for a warming lunch, it had been a chilly morning but a thoroughly enjoyable one in this delightful circuit of Tarn Hows.